Saving the wild-hearted is our passion and we hope it will become yours too. If you would like to volunteer please visit our Volunteer page. If you have a dingo you require assistance with please visit our Rehome page. For any general enquiries please use the contact form to the right. As a not-profit, volunteer run organisation we depend on the generosity of the community to help dingoes in need. If you would like to support us please donate through our Support page. 100% of every donation assists dingoes in need. Visits can be arranged by appointment using the contact form to the right. Motivated by a personal interest in dingo care, Sydney-based graphic designer Joshua Said created a website called Dingo Den in September 2014. His website provided readers with dingo facts, care resources, ownership advice and a dingo advocacy petition. The Dingo Den petition calling for legislative reforms to protect dingoes went viral on its first day - netting hundreds of signatures within a few hours, and nearly 1000 signatures by the week’s end. Within a few weeks emails streamed into the Dingo Den inbox from all around Australia. 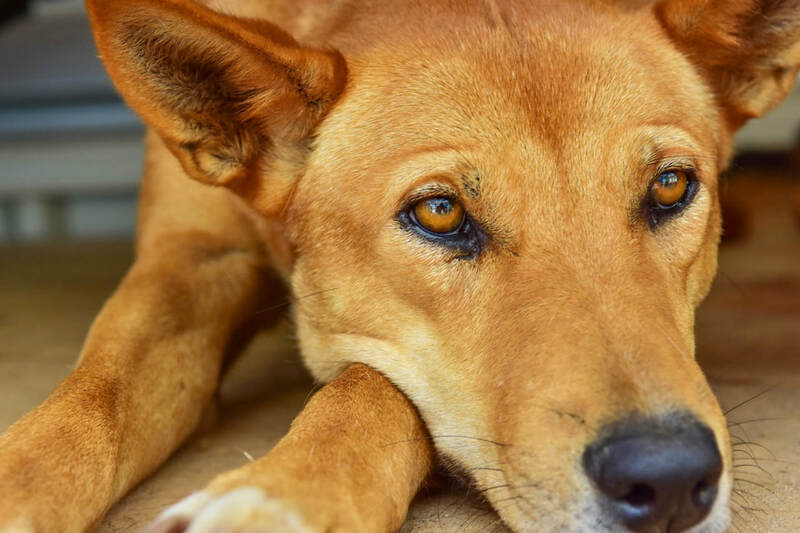 The Aussie public not only wanted legislative changes to protect dingoes, they wanted assistance in rehabilitating and rehoming displaced dingoes in their care. This prompted Josh to travel up and down Australia’s eastern seaboard in early 2015 to meet with dingo carers and wildlife advocates to hear their concerns and aspirations. Having assessed the situation first hand, Josh sensed the need for a novel solution – a national service that could help displaced dingoes and dingo-hybrids in any place and at any time. 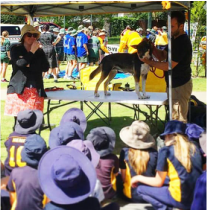 He developed a strategy to create a fully-accredited national dingo rescue service, supported by a network of adopters, foster-carers and volunteers. The concept for Dingo Den Animal Rescue was conceived. Throughout the autumn and winter of 2015 Josh worked diligently to transform the humble community initiative into a national charity, while offering support to the many concerned dingo advocates and carers that were asking for help. Having recently purchased his first home in western Sydney, Josh began renovating his half acre property into a dingo sanctuary and an education and training facility for local community members and volunteers. By the start of Spring, Dingo Den Animal Rescue was birthed as an Australian charity with the Australian Charities and Not-for-Profits Commission (ACNC), and endorsed by the Australian Tax Office as a Deductible Gift Recipient. The new organisation had rehomed a dozen dingoes and assisted the rehabilitation of three dozen more, while supporting the construction of Sydney’s very first dingo sanctuary. ​Dingo Den Animal Rescue is committed to a bright and sustainable Australian future. We recognise that caring for Australia’s ecosystems will provide all Australians – animal and human – with the prosperous future we all deserve. As a registered charity with the ACNC, our key commitments are to prevent or relieve the suffering of animals, and to advance the natural environment. We take these two obligations so seriously that they constitute the basis of eighty-five percent of all our activities, while the remainder of our endeavours support indigenous culture programs, aspiring students and local community initiatives. Our sanctuary is a registered member of the Humane Society International (HSI) Lands Trust. As the 137th New South Wales and 307th Australian member sanctuary, we belong to a network of partners working together across NSW and Australia to preserve our native biodiversity. We are proud to be a HSI Lands Trust member, and endeavour to work with other member sanctuaries to save the wild-hearted. Our vision is to create a dingo-safe Australia. This will in turn assist all native species against the threats of invasive species and unbalanced ecosystems. Under the Rural Lands Protection Act, the dingo is subject to government-funded trapping, baiting and hunting bounties. Additional threats exist from private culling, wild dog fencing, and contact with the domestic dog, Canis lupus familiaris. Due to being branded a 'noxious animal', the dingo is exposed to a myriad of unnatural threats that it can not compete with, resulting in the pending loss of the species. Many conservationists believe that the conservation status of the Australian Dingo varies between threatened and critically endangered. To prevent the extinction of the dingo, the species must be removed from the Rural Lands Protection Act as a wild dog and noxious animal, and be included as a native species under the National Parks and Wildlife Act. ​​It’s no secret that we do things differently at Dingo Den Animal Rescue, and we do so strategically. The unique nature of dingoes compels us to operate in innovative ways that support each dingo’s special nature. Every decision is made with the wild-hearted at the forefront of our minds and in the very centre of our hearts. We work to relieve the suffering of dingoes and dingo-hybrids in every capacity – human inflicted suffering in the wild or in captivity, intentional or unintentional. It is the foundation of everything we do. We recognise that dingoes and dingo-hybrids are different to dogs and cats, and therefore require a unique approach to receiving help. We have developed a rescue model that caters to the unique characteristics of a dingo’s ‘wild-at-heart’ nature and provides a relinquished dingo with the smoothest transition possible into a new home. We have built a free-range dingo sanctuary where our dingoes live as a unified pack, free to run around in a natural environment. The four zones of our sanctuary simulate Australia’s sub-tropic, grassland, woodland and desert regions, while a dam at the heart of our sanctuary provides our dingoes with the natural water enrichment that every dingo deserves. With all these factors working in tandem, our sanctuary provides genuine restorative care for even the most broken and traumatised dingoes. Dingo rescue isn’t just about finding a place for a dingo to live - it’s about rescuing a dingo’s entire being. At Dingo Den Animal Rescue we save the wild-hearted from the inside out. As you might imagine, our rescue coordinators have a great deal of experience in rescuing and rehoming various kinds of animals. But what makes our rescue coordinators unique is they are experienced dingo owners. This means that every one of our rescue coordinators understands dingo nature in a home setting and the full spectrum of day-to-day care required. This unique combination allows our rescue coordinators to provide empathetic support and practical advice to relinquishers and adopters during the rehoming process. To ensure we find a dingo the most suitable home, we interview the person who is relinquishing a dingo into our care. This interview helps us create a profile of the dingo needing help, and includes the dingo’s history, likes, dislikes, specific behaviours and much more. We then use the dingo’s profile to find the most suitable home for it from our pool of adoption applications. We don’t gamble with the lives of dingoes entrusted into our care. As part of our rehoming process, every applicant wishing to adopt a dingo from us participates in three rounds of interviews to ensure they can provide a suitable lifestyle for the dingo needing a new home. When a dingo is adopted, our rescue coordinators conduct regular follow-ups with the new adopter to ensure the dingo is settling in well. As experienced dingo owners, our rescue coordinators are able to provide advice to adopters if they are experiencing challenges with their new dingo. Using a rehoming model that carefully selects adopters and provides them with ongoing support has meant a world of difference for our dingoes – over 90% retention rate.